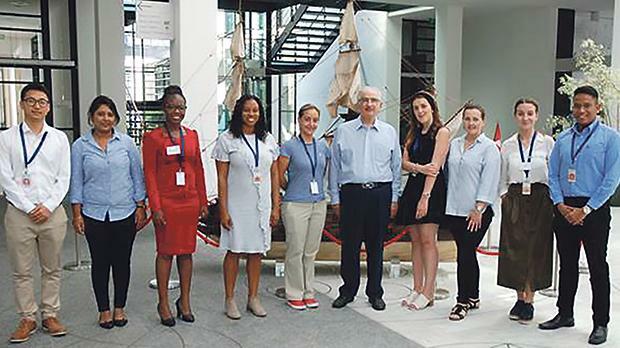 Nine graduates of the International Maritime Law Institute (IMLI) at the University of Malta are participating in the summer academy organised by the International Foundation for the Law of the Sea (IFLOS) at the International Tribunal for the Law of the Sea in Hamburg, Germany. The current summer academy, the 12th edition in the series, which is entitled ‘Promoting Ocean Governance and Peaceful Settlement of Disputes’, started on July 22 and runs until August 17. IFLOS was established in 2003 to promote the opportunities provided by the tribunal for the implementation of the United Nations Convention on the Law of the Sea (UNCLOS) and the peaceful settlement of disputes concerning the interpretation or application of the Law of the Sea Convention. The foundation aims to promote education and, more particularly, research in the field of international law of the sea. It established the annual four-week summer academy course in 2007 and teaches subjects relating to the law of the sea and maritime law to the participants who are mostly nationals from developing countries.